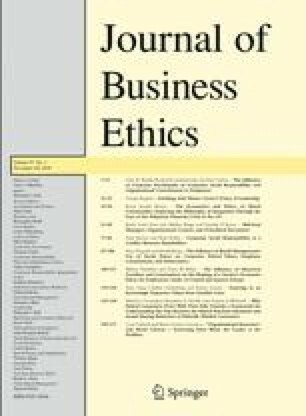 Despite their ethical intentions, ethically minded consumers rarely purchase ethical products (Auger and Devinney: 2007, Journal of Business Ethics 76, 361–383). This intentions–behaviour gap is important to researchers and industry, yet poorly understood (Belk et al. : 2005, Consumption, Markets and Culture 8(3), 275–289). In order to push the understanding of ethical consumption forward, we draw on what is known about the intention–behaviour gap from the social psychology and consumer behaviour literatures and apply these insights to ethical consumerism. We bring together three separate insights – implementation intentions (Gollwitzer: 1999, American Psychologist 54(7), 493–503), actual behavioural control (ABC) (Ajzen and Madden: 1986, Journal of Experimental Social Psychology 22, 453–474; Sheeran et al. : 2003, Journal of Social Psychology, 42, 393–410) and situational context (SC) (Belk: 1975, Journal of Consumer Research 2, 157–164) – to construct an integrated, holistic conceptual model of the intention–behaviour gap of ethically minded consumers. This holistic conceptual model addresses significant limitations within the ethical consumerism literature, and moves the understanding of ethical consumer behaviour forward. Further, the operationalisation of this model offers insight and strategic direction for marketing managers attempting to bridge the intention–behaviour gap of the ethically minded consumer.